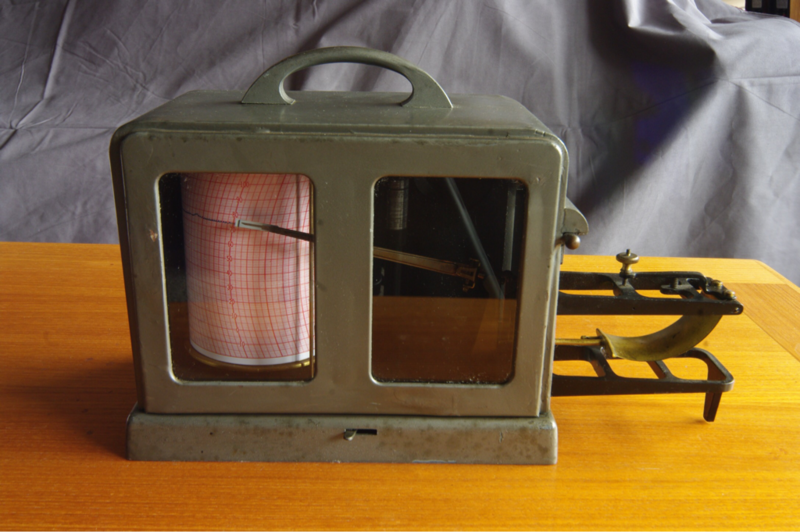 This 1943 Friez ML-77 bourdon tube thermograph has the original 7 day Friez clock drive and works well. Actually it has the government contract brass tag but not an ML-77 tag on it. It uses a Belfort 1072A chart which has a range of -20 F to 110 F.